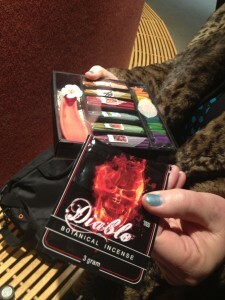 Officials are in Anchorage Thursday two days of presentations on synthetic cannabinoids. According to new figures from the Fire Chief Dennis LeBlanc, first responders are seeing calls for spice-related emergencies remain at 9.7% across the municipality. Now, the city is pulling together a broad spectrum of experts from different fields to develop long term strategies. According to officials, Anchorage is seeing less commercially packaged synthetic cannabinoids like those pictured above and sold over the counter, and more that’s sold in street form, like joints and loose plant matter in baggies. Photo: Daysha Eaton. Nearly 100 people from law enforcement, public health, social services, and representatives from Alaska’s two senators are camped out in a conference room at the Police Training Center to teach each other about Spice. It’s part of a push by the Anchorage Police Department and partner groups to better coordinate a response to what officials have characterized as a health crisis. Though the explosion in spice-related emergency calls has diminished from a dramatic peak in October, Anchorage has seen more than 800 calls for service in the last six months, according to APD Sergeant Jack Carson. It appears, Carson told the group, that Spice is part of a new normal on city streets. Carson spent an hour running conference attendees through the alarming stats on Spice, as well as the complex legal and financial background that give it a tricky enforcement profile. “You don’t want to start meeting your partners in the field in the midst of a crisis,” Cooper said. As for concrete policy solutions, few new options have emerged. Several months ago, the Anchorage Assembly passed legislation criminalizing the sale and manufacture of synthetic cannabinoids, which gives law enforcement new investigative powers to build criminal cases. Officials within the mayor’s administration, however, have said a comprehensive solution will need to involve housing, services, and treatment for addiction issues. “Housing First has been shown to reduce substance use at a significant rate,” wrote Nancy Burke, the municipality’s homelessness coordinator, in an email. According to Nora Morse, special assistant to the mayor, members of the administration have looked into using Title 47, the state’s rule governing involuntary commitment, as a potential tool. But an adjustment to the code was deemed an ineffective recourse for combating Spice abuse. On new policy recommendations, the administration says it is open to suggestions. “If you tell me what to do, I will go do it,” Mayor Ethan Berkowitz said during brief remarks Thursday morning. The Synthetic Cannabinoids Working Group conference lasts through Friday afternoon.